Sea is the cradle of life, not a trash bin! 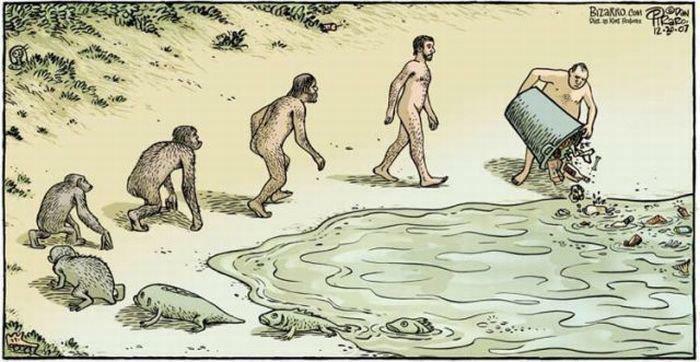 I already complained about butts on the beach (of course I mean cigaret butts), as some people think it’s totally fine to throw them in the sand, but this cartoon will hopefully make you think twice if you want to throw some garbage in the sea itself. It was kind of painful to see a plastic bag floating at the coral reef in the Red Sea in Israel, and that was one of the cleanest waters I have swum! Next postКиев: живописные нудистские пляжи в центре города! If only more people could see the results of their actions.